3D InSight™ Human Liver Disease Models are based on 3D InSight™ Human Liver Microtissue technology and include specially formulated media and cocktails to induce the desired disease state in healthy liver microtissues. 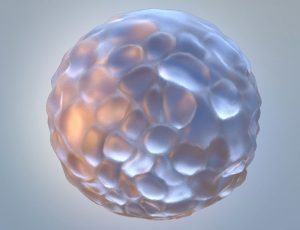 They incorporate all the primary human liver cells required to recapitulate the disease state, including primary hepatocytes, Kupffer cells and liver endothelial cells. Ideal for long-term dosing protocols necessary to gauge effectiveness of novel compounds, these versatile models may be used for high-throughput screening and efficacy testing of drugs for the treatment of diet-induced steatosis, non-alcoholic steatohepatitis (NASH), and fibrosis. Lipid-load human liver microtissues to mimic the fatty liver phenotype of early stage non-alcoholic fatty liver disease. Investigate the progression of disease from steatosis to inflammation and fibrosis in the first 3D in vitro human model for NASH. Screen and test efficacy of anti-fibrotic drugs in a powerful 3D in vitro model that mimic scarring observed in human liver fibrosis. with more relevant liver disease models.